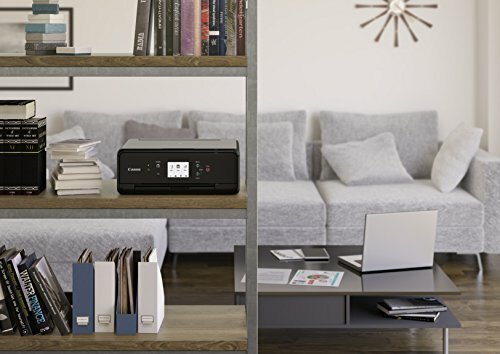 This inkjet printer/scanner/copier maximises its versatility with a five-ink system that uses the usual set of four dye-based inks (cyan, magenta, yellow and black) for photo printing plus a pigment black for extra-crisp text. 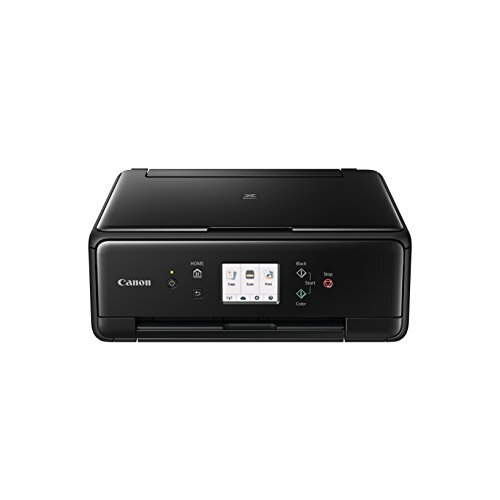 Read our Canon Pixma TS6150 Review. 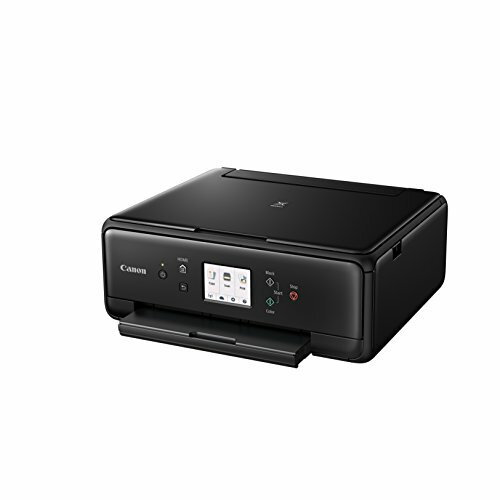 Despite being quite compact, it includes a top rear feed for alternative paper types (including card up to 300g/m2), as well as a standard paper tray in its base. Wi-Fi is built in. with support for phones, tablets and online storage services, and it’s all controlled by a big colour touchscreen. 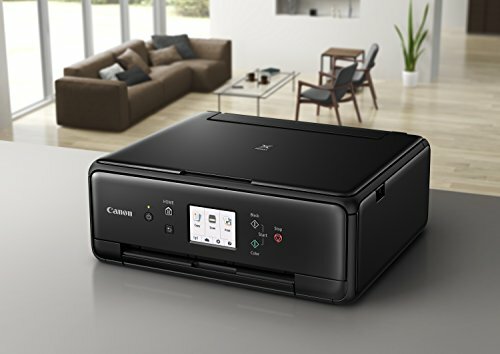 Speed isn’t a strong point of the average inkjet printer, and a budget laser printer would cheerfully leave the TS6150 in the dust, but it’s not so slow as to be annoying. 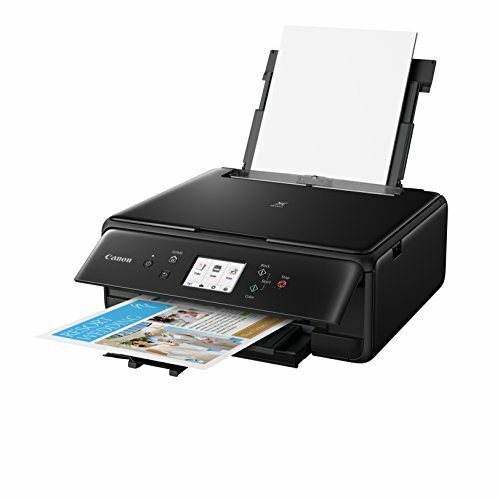 Our black text document came out at 12 pages per minute (ppm), and colour-graphics pages at just under 4 ppm. A borderless postcard-sized photo at the highest quality emerged in 70 seconds, which is pretty good. 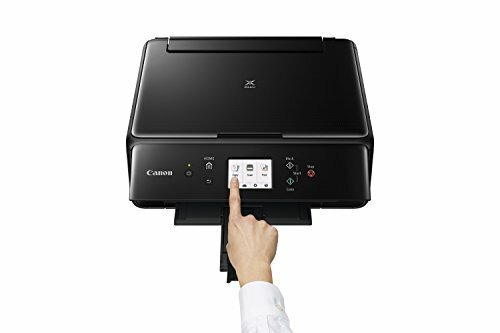 The scanner took 19 seconds for a sharp 300 dpi (dots per inch) A4 page, slowing down to 31 seconds for a photo at 600 dpi and three times that for 1200 dpi, which you’d only need for archiving or enlargement. Photocopies took 13 seconds in black or 23 in colour. What impressed us was the quality of both prints and scans, with lots of detail and colour graduations rendered without any muddiness. Photos on glossy paper looked excellent, just a touch on the warm side, but with generally accurate colour and no glitches. On plain paper, text and business graphics came out crisp and punchy. Printing was fairly quiet, too. Gripes? 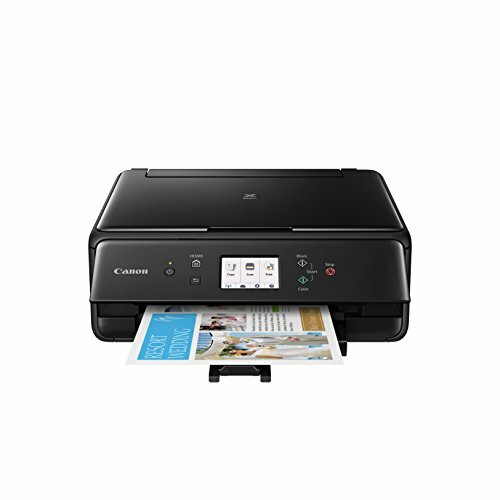 The TS6150 can print duplex (both sides), but printing was fainter unless we chose an extra-slow mode. Colour photocopies for some reason didn’t look quite as good as regular prints. The rear tray has a dust cover that we kept forgetting to close, and the scanner lid is fiddly. 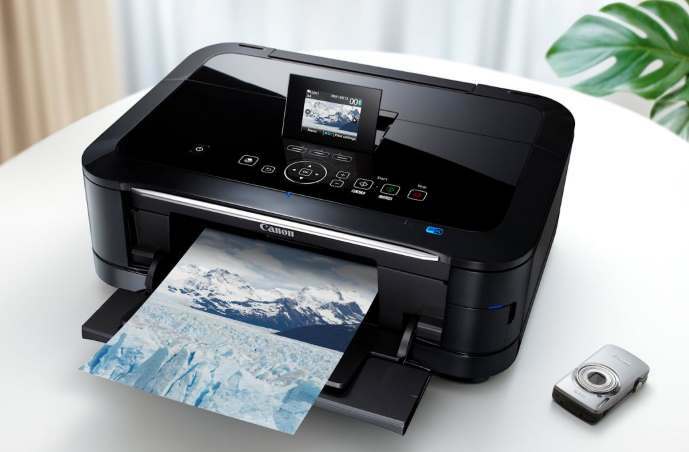 Our biggest concern, not for the first time, was the cost of ink. 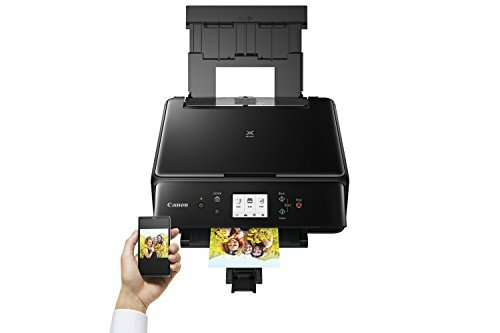 Canon offers a variety of refills, but even if you go for the long-lasting XXL cartridges, at over £ for a full set, it works out at 8.6p per A4 colour page (bearing in mind photos will use a lot more) and a higher-than- average 3p for black, thanks to that pigment cartridge. 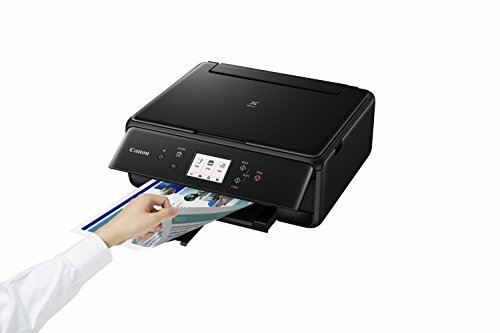 Combined with the absence of an automatic document feeder for the scanner, that rules this model out for office-type use involving long documents. Having said all that, for all-round home use, it’s a great choice.